Do you have a Chuggington fan in the house? 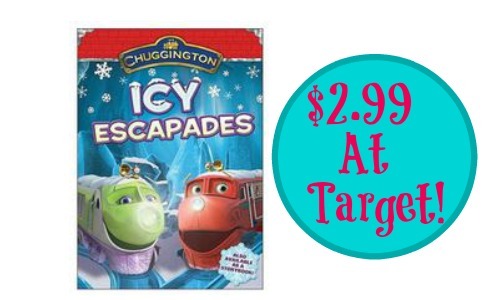 If so, print the new $2 off Chuggington coupon to get a great deal at Target. You can price match the DVD with Target.com for $4.99 so when you use the coupon, it makes it $2.99. You will need to show the price on your mobile device or bring in a printed page showing the current price to price match.